Looking for a great Valentine's Day R&B Music Playlist for your Apple Music or Spotify? Guest podcaster Tanida Mullen provides the sounds for the mood. New music Fridays! On this podcast, we got music from Jayson Lyric, wifisfuneral, Le$, Maxo Kream, Sosamann, Scotty ATL, The Domino Effect & Marty Grimes. New music for those that feel like it's a New Year & same person they were last year. Curren$y, Dahi Devine, Marty Grimes, Cha'keeta B, Young Dolph & more! In this music podcast, we got new music from Dom Kennedy & Hit-Boy, The Philharmonik, wifisfuneral, BJ The Chicago Kid, Tope & Trademark x Young Roddy. Subscribe to us on iTunes! Check out the music podcast featuring new tracks from Siya, Gucci Mane & Lil Uzi Vert, YG & 21 Savage, Code Green, Nipsey Hussle and Breeze Park. This week, we're a day late but we'll kick your Saturday off with some Bay Area jams & even a tribute to Mac Dre on this edition of the audio podcast. Check out this music podcast this week which has been extremely busy but we still finessed it. We made a perfect mix for your Friday night finessing. This week we bring you the audio podcast with a trippy mix featuring music from Baegod, Code Green, Ralo, Caleborate, wifisfuneral and more! Trillmatic.com releases #007 of their Audio Podcast, featuring music from Mndsgn, Slim Thug, Rome Fortune, Chevy Woods and a lot more for your weekend. 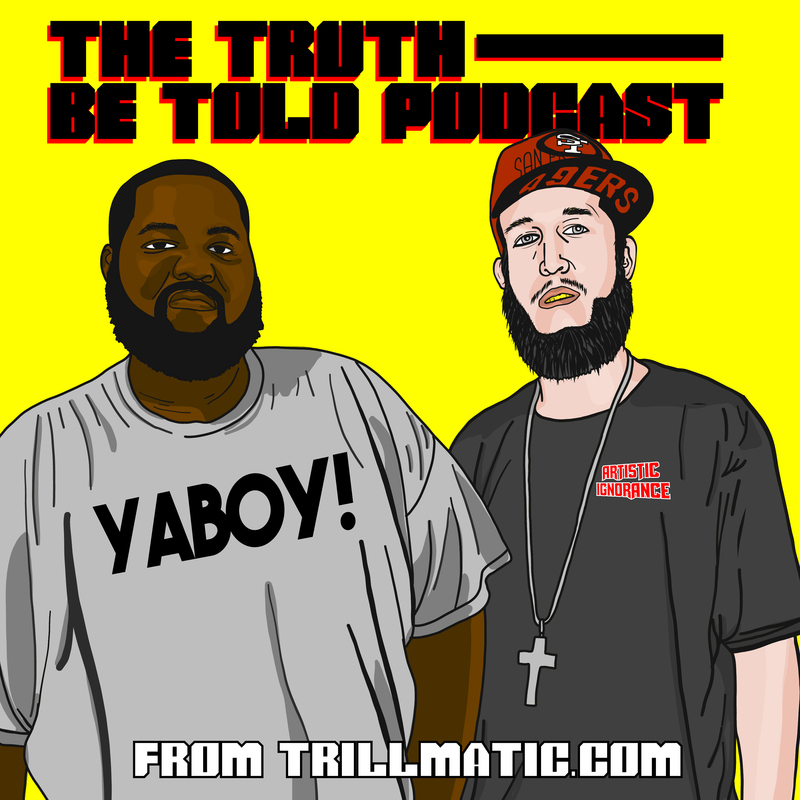 This week on the Truth Be Told Audio Podcast, we bring new music from Sonny Digital, Jayson Lyric, Philthy Rich, T$O & Macntaj. We call this Doing Numbers.